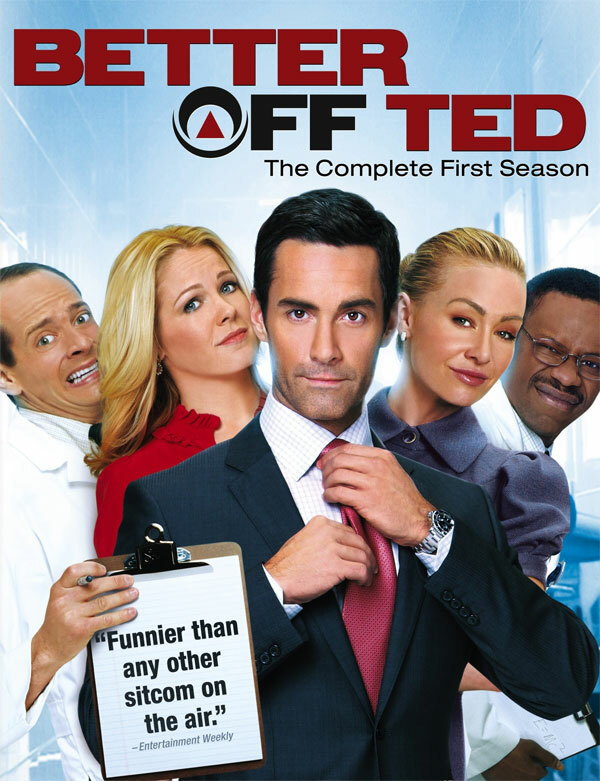 Maybe everyone else has already discovered this show, but I just fell in love with Better Off Ted. It’s friggin’ hilarious! If you can’t view the embedded video above, please click here. It’s got lots of humor, fun characters, and some geeky science stuff. Imagine combining The Office, Arrested Development, and Muppet Labs. That description probably isn’t spot-on, but it’s the best I could do. Each episode is only 30 minutes, so giving it a try isn’t a huge investment. Even my wife is hooked on the show! I highly recommend it for geeks! thanks for shareing thise. The preview makes me think “Archer” but with real people. also, the more mad science there is on film the better the world is. It was a great program. Too bad it didn’t get the press or network support that it deserved. Each character is so well developed as a ‘type’ that you can almost predict their reactions and you are often proven wrong and that made the show a lot of fun. The evil of the Veridian Corporation also knew no bounds and I loved the fake commercials. Just the numerous ways they covered up or repurposed their evil inventions made it worth it for me. This was one of the greatest shows ever made. I found it on netflix and was dismayed to learn that it was cancelled. What the hell is wrond with ABC! I don’t get into alot of shows, but I did with this one right from the first; episode. I wish they’d get a clue and make new episodes. A GREAT show cancelled waaaay to early. I still have it set on my DVR in case ABC discovers a bunch of unaired episodes….or in the hope they come to their senses and renew it! when this show first came out, I had been working for a company called Veridian, which had just been bought out by General Dynamics. so, I grabbed a copy of Veridian Dynamics’ logo, and started taping it on top of wherever a GD logo was. For a couple days, people actually thought the company was changing names!